Discover your new comic book obsession! BOOM! 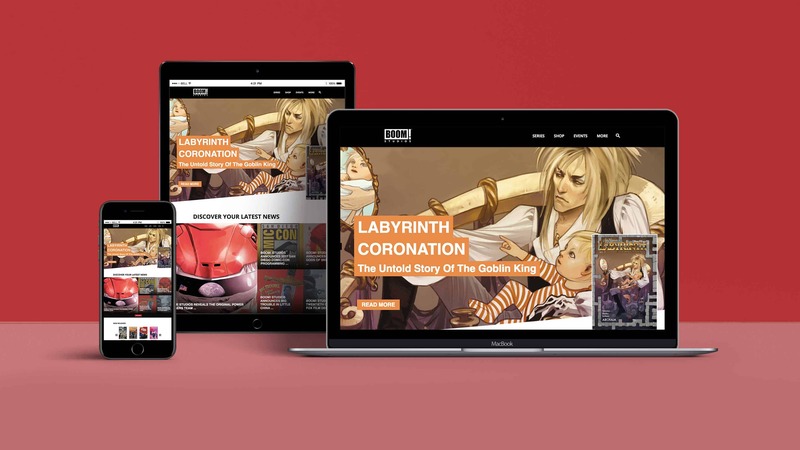 Studios is a comic book and graphic novel publisher that has produced award-winning original work while also breaking new ground with established licenses. BOOM! also produces original content for both the big and small screens. Boom! and Coda partnered to revamp the Boom! Studios brand with a new logo and a site that embodied the brand and the “Discover Yours” brand campaign. The goal was to increase fan engagement by communicating that Boom! Studios has a comic for everyone. The Boom! Studios logo is clean, simple and bold. The negative space mimics the panels of a comic book page. It was designed to be used in a wide range of applications including web, print, TV and film, to name a few. Boom! Studios has iconic characters and imaginative stories. The artwork found in the pages of the comics and graphic novels is bold and colorful. 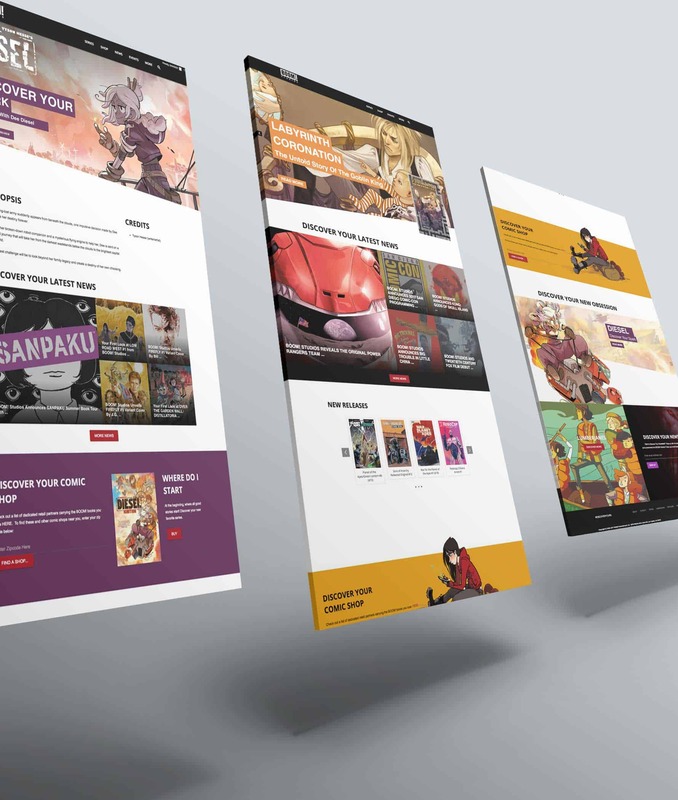 The site was designed to use the characters and the artwork as the foundation while providing easily accessible content for the readers.